Don’t Miss A Single Secret, Tactic Or Strategy Shared! Get access to powerhouse marketing techniques transforming average entrepreneurs into multi-millionaire business owners at staggering speed. Discover the new acquisition strategies multiplying new customer sales for even the most ordinary businesses. Learn how to double, triple, even quadruple the profits you get from new and old customers… with a twist on the common backend marketing methods. Create personal and professional connections with like-minded entrepreneurs who can help you continue to grow your business and income long after MFA Live 2017. Walk away with the knowledge, skills, tools, and confidence to multiply your business and income ??? starting the minute you get home! How to generate more new customers than even your biggest competitors… with one simple tweak to your traffic generation approach… no matter how small your marketing budget may be. Do this… and within 24 hours you’ll be getting new customer sales… at a profit… from almost all the traffic channels too expensive for the average marketers in your marketplace. The “Warren Buffett Method” of Customer Generation: This will unlock a monster source of new customer sales for you that 98% of your competitors are clueless about. Clayton’s “Secret Project Planning Method”: How to get most of the marketing work done before you even set-up a single web page or write a single word of marketing copy. Clayton?? ?s Multi-Million-Dollar Outlining Method – How non-marketers, non-sales-people, and non-writers are producing wildly effective marketing messages… producing crazy levels of sales… with a simple and unique type of outline. How to identify the exact Dominant Resident Emotion to tap into in your marketing campaign that will drive prospects to respond to your offer. What to say in the first 350 – 800 words of your marketing message to guarantee your prospects are deeply engaged with your entire marketing message and offer! 3 types of benefits you must present in your marketing campaign to create a buying frenzy amongst your prospects. ?? ?Product Presentation Magic??? : How to uncover the exact emotional benefits that?? ?ll make your product irresistible to prospects! What you must say to your prospects to make the purchase of your product mandatory in their mind. The Ultimate Close: The exact language to use to drive maximum sales conversions from every marketing promotion. Legendary direct response marketer & former Vice President of Boardroom Inc. The ONE thing to do with every email lead within 3 minutes after opt-in. It’s been proven to double, triple, even quadruple the dollar value of every lead. ASTONISHINGLY EASY! How to enjoy DOUBLE-DIGIT sales conversions with almost every offer you present to your list going forward… by making one tiny tweak to your email scheduling. AVOID LIST BURNOUT! What you should never do when sending any email marketing messages… if you don’t want to “leak more and more responsiveness” from your list with every message. How to turn ordinary email leads into ravenous subscribers who drop everything the moment an email from you arrives in their inbox. A pro-level list segmentation secret that’ll make you more money the very first time you use it. And, it’s brain-dead simple. Never wonder again what you should email to prospects to get them to buy. Just use this simple process to know with certainty when and what to say in your email messages. ?? ?HORIZONTAL PENETRATION!??? One of the most powerful business growth secrets today for solo entrepreneurs! How to create a 5-month surge of HYPER–SALES-GROWTH for your business! And have it happen twice within the next year. How to command and get premium prices for your products — up to DOUBLE your industry standard — by using Value Chain Positioning. The unconventional way of bundling your products… that can bring you up to 3x more money from every customer transaction. UNKNOWN? Here’s a simple trick for creating instant authority and expert positioning within the first 25 seconds of any marketing campaign. The AMAZING secret of Accelerated Celebrity Status! It can make you a household name in your marketplace in a matter of weeks… no matter how unknown you may be right now. NEW CUSTOMERS, EVERYDAY! An automated traffic system that can bring you a consistent stream of leads and new sales every day! A proven & duplicatable traffic plan that’ll bring you new customers out of the gate. What you must understand about the three levels of ?? ?Traffic Temperature?? ?… so you get new customers from all of them. Learn how to scale your traffic campaigns once you have a winner so you build a massive subscriber list while avoiding the dreaded “ad fatigue” that can lead to increased costs. 4 simple numbers that tell you when that actually matter so you can ?? ?trim the fat??? from your campaigns and scale. The NEW “Webinar Promotion Blueprint” created from the most powerful conversion methods shared by 26 of the world?? ?s best webinar marketers. How to use the “Short-Cycle Promotion” to more than DOUBLE your webinar attendance rate! Struggling to keep all your attendees until the end of your webinar? Here’s a Sticky Engagement Trigger that’ll have your attendees hanging on your every word until the very end! The Ultimate Webinar Close! The reason why even new marketers and timid webinar presenters are now seeing small webinars produce hefty cash paydays. 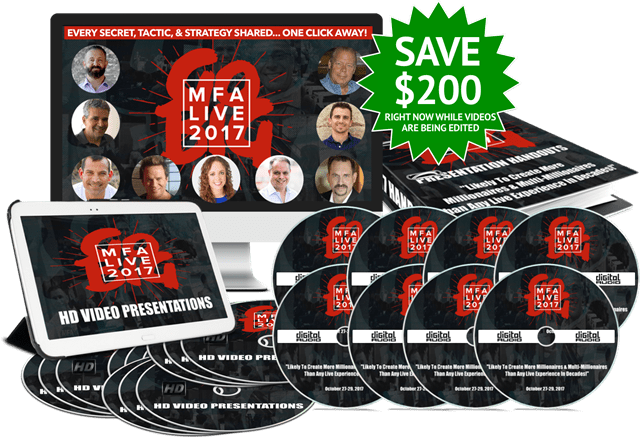 How almost any entrepreneur can model what Mike did togenerate over $2 million in sales… in just 45 days… using nothing but FREE webinars! The ONE thing to say in your marketing so prospects are convinced your product or service is different and better than everything else out there! The one thing you must get every prospect to believe before you mention your offer… if you ever want to sell a significant amount of any product or service. “THE HOPE FACTOR”: How to give your prospects an emotional rush… which drives them to buy your product with excitement! How I instantly SPIKED my optin-rate by adding these same 11 words to every lead generation page I have! How to use the secret of Perceived Customization to turn email optins into highly-engaged prospects who actually go through your marketing (and don’t simply ignore you after they opt-in). How to get your new customers to absolutely adore you… and become die-hard supporters & fans… by asking one surprising question in your first email communication. The unconventional subject line structure that makes your email messages standout in your prospects’ inbox! How to use a few “hypnotic language patterns” to make sure, when you send an email, your prospects open and read it. Immediately! The secret, duplicatable structure behind the most profit-pulling emails of the past decade! Are buttons better than links inside your emails? Which gets more clicks? Which should you use? How to recycle proven “Email Themes” to cut your writing time by 75% when crafting your next email marketing sequence. 3 Call-To-Action Triggers that almost guarantee, when your email gets opened… it’s producing a click! A simple marketing structure which can sell more of your products in a single day than you have in the past year! The one surefire way to raise your prices, attract even more clients, and finally get paid the money you deserve! The “hypnotic way” to package and present your offer to get your target audience to say ???Yes??? quickly and with more enthusiasm than ever before.